We at this blog believe in radio communications and will never let it die, understanding the importance that it still plays, and during the worst catastrophes, will be the best form of communication. This story about 9-11 adds proof to this statement. 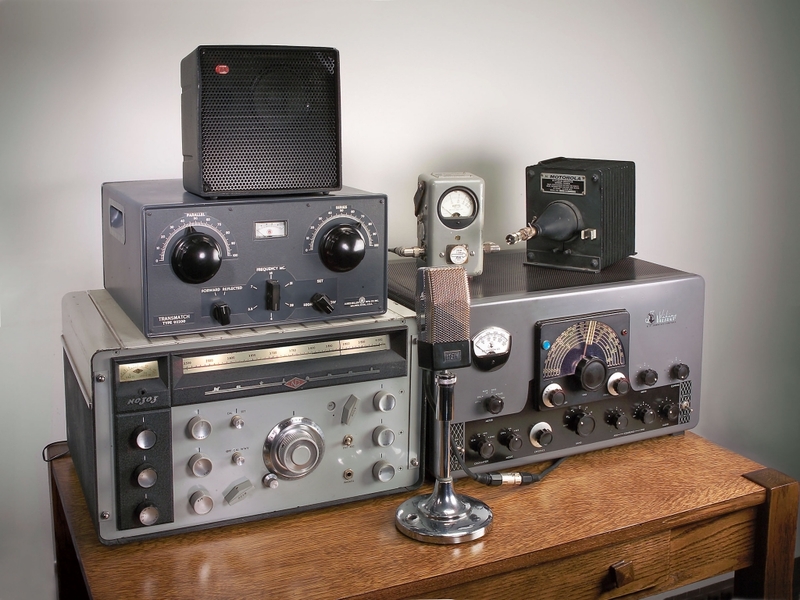 If disaster strikes, there is a form of communication that can still get through: a ham radio. When 9/11 hit New York City in 2001, for instance, ham radio operators provided a connection to the outside world. One of those people was amateur radio enthusiast Bob Kyvig, formerly of White Bear Lake, who now lives in Centerville. When White Bear Lake sailor Gerry Spiess landed in Samoa on his historic solo voyage across the Pacific Ocean in 1981, he contacted Kyvig, who connected Spiess with his wife Sally. When Hugoâs tornado struck in 2008, he and wife Jill remained on the radio as long as they could but had to abandon the âham shackâ as the storm approached. The tornado did $30,000 damage to their home, including Kyvigâs outside antennas. A ham since 1968, long before Facetime, email or Skype, Kyvig was 20 when he took up the hobby while serving in the Navy. He was stationed in Hawaii and had childhood buddies serving in Germany and aboard the USS Milwaukee. The three met on the radio at least once a week without fail for more than 40 years, until the death of one of the men in 2015. That connection to people is what Kyvig most enjoys. He chats on the radio to people heâs never met around the world. âItâs a worldwide network of people enjoying fellowship with other hams,â Kyvig said. The radio operator answers calls for help in areas of âhealth and welfare,â and was on Centervilleâs first CERT (citizen emergency response team), which is now inactive. He serves as a severe weather spotter too, and gains âinsightsâ as to what is happening around the world by chatting to foreigners. Ham buffs do have opportunity to meet at events called âeyeball picnics.â The Kyvigs traveled to a picnic in Branson, Missouri earlier this summer to socialize with other hams and match voices with faces. Without getting too technical, Kyvig explained that radio signals are bounced up through the ionosphere. The signal goes up and down several times before it hits the final destination and you donât control where it hits. People who want to contact Kyvig can tune into his call number: WA0ROH, assigned by the Federal Communications Commission (FCC), which regulates interstate and international communications. The agency requires operators to keep a log of who they talk to on an electronic spreadsheet. Other countries have comparable agencies. Each country has its own beginning call letters. The United States uses W, K and N.
A true party line, Kyvig said 30,000 people could be listening in on a conversation. Jill proudly pointed out that Bob earned a masterâs degree from The 3905 Century Club. Itâs not the typical academic degree, but a difficult achievement nonetheless. âThe degree was a challenge,â he said, which explains why only 68 radio operators have received the degree since 1967. Bob inspired her to get her license, Jill said, and together they do public service events using ham radio. Invented in the early â20s, ham equipment is evolving, but affordable. Newbies can do it for about $300, he said. There are antennas on his roof, but mostly they are horizontal wires stretched between a tree and the house. Generator backup is used if thereâs a power outage. He also keeps a mobile 12 volt transmitter that he can use in his truck to chat while heâs driving. At one time, working knowledge of Morse code was a requirement to get an FCC ham license, but that was dropped, so more people are getting into it, he said. When heâs not on the radio, Kyvig enjoys making furniture and fixing TVs. He retired from a career in computer operations about five years ago.